Director Carmen Reyes-Zubiaga of the National Council on Disability Affairs stresses in her message the importance of education of children with disabilities. She appeals for support to all leaders of organizations for persons with disabilities and asks help in our objective to block the barriers of their dreams. “I am not alone, we include you in our objective, I am here to facilitate for the sector. 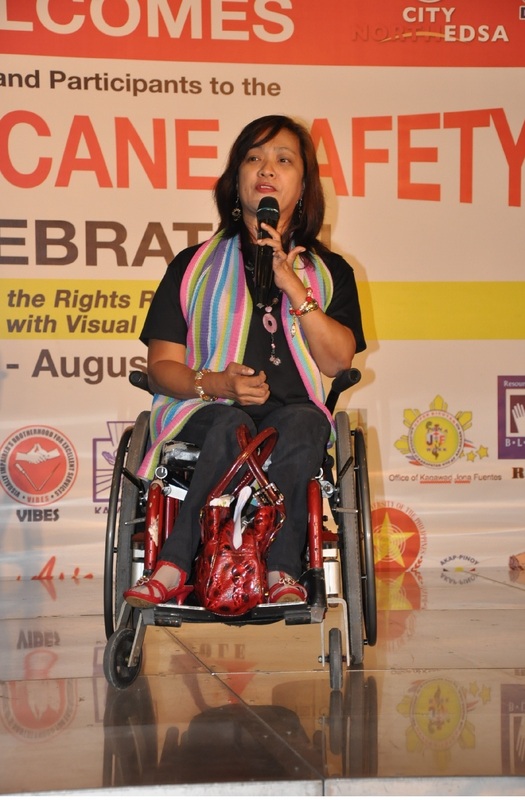 As Executive Director of NCDA, I will push and take care of the PWD concerns and I will strongly advocate for the sector.” This message was quoted during her special message to the Closing Ceremonies of the 23rd White Cane Safety Day celebration. Held at SM Annex, North EDSA, Quezon City, It was spearheaded by the Department of Education and chaired by the Parent Advocates of Children with Visual Impairment (PAVIC).